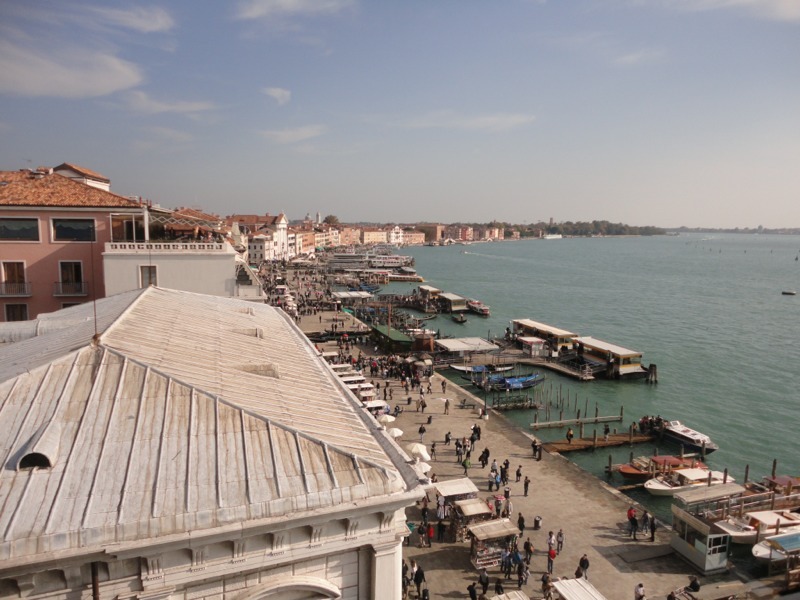 If you read my School’s out Friday post, then you’ll know that I’m in Venice on a school camp. It sure beats the kind of school camps I participated in when I was a student. I have fond memories of my time at Glemaggie in Gippsland, but it kind of pales into insignificance in comparison to the experience these kids are having. I’m traveling with a wifi only iPad 2, and I’m struggling a bit without a whole lot of Internet access. We’ve not yet had an opportunity to get a data roaming sim card for my phone, so I’m confined to the lobby of our hotel to get anything out on the web. I’m writing a blog for our parents so that they know how things are going, and it’s great to see them leaving comments for their children already. It really does help parents feel at ease about their kids being so far away when they can see photos showing them smiling and obviously happy. 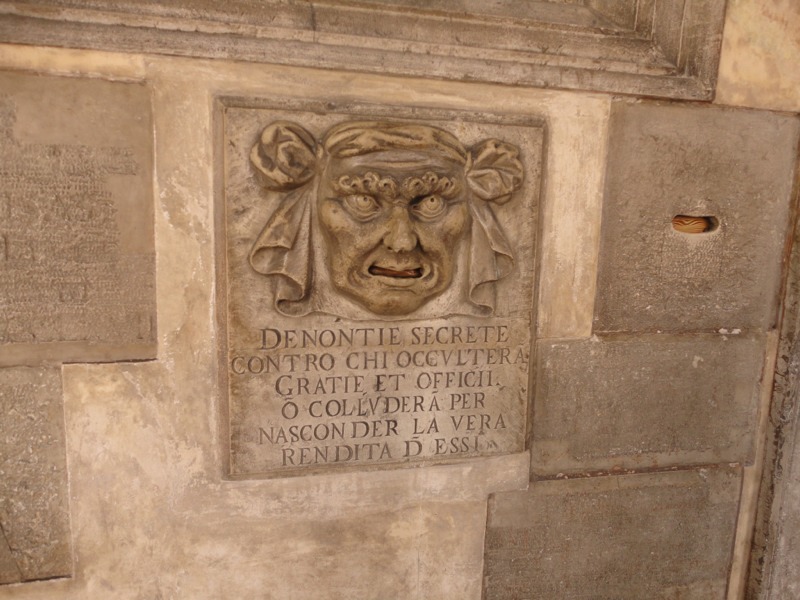 Venice doesn’t seem to have wifi hotspots. Any networks I’ve seen pop up without a lock all require a log in. I have seen a few tourists wandering around with iPads in hand, and I’ve been using the one I have to take photos of the group, because they are then really easy to insert into a post using the BlogPress app. If you ever us it, remember to save your posts as you go along. There’s nothing worse than writing a whole slab and then finding it crashes and you lose everything and have to start again. Back to Venice though. It’s a beautiful city, without any doubt. It’s a constant reminder of the generations that came before us, and you do start to wonder how it is that the architecture has remained intact. Today we visited the Doge’s Palace and the students were impressed with the opulence represented in the huge council chambers. They were then confronted with the cells that formed the prison system of the time, and pondered how people must have felt when they crossed the bridge of sighs to meet their fate. In the afternoon we visited the Accademia, and took in our fair share of religious inspired art work. 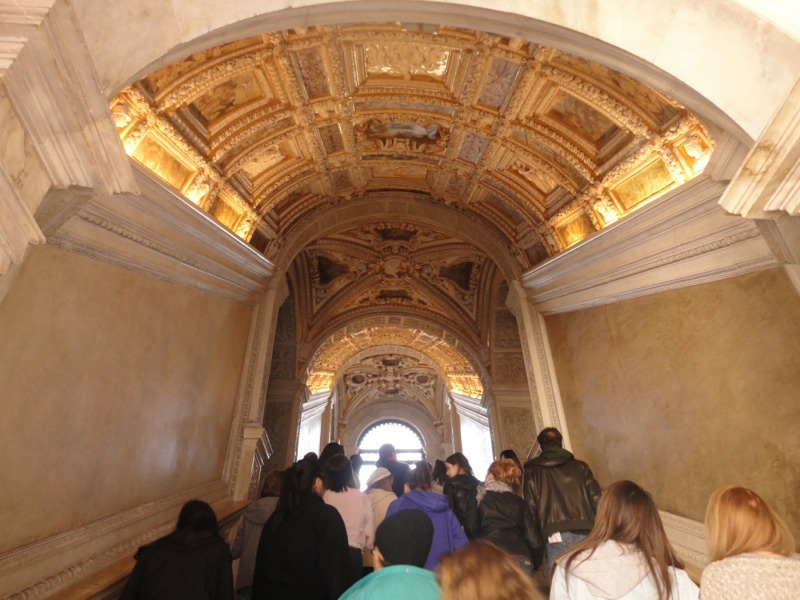 After a morning in the Doge’s Palace, they were a bit over it, and we caught the vaporetto back to our accommodation. It’s very interesting waiting for a boat instead of a bus! 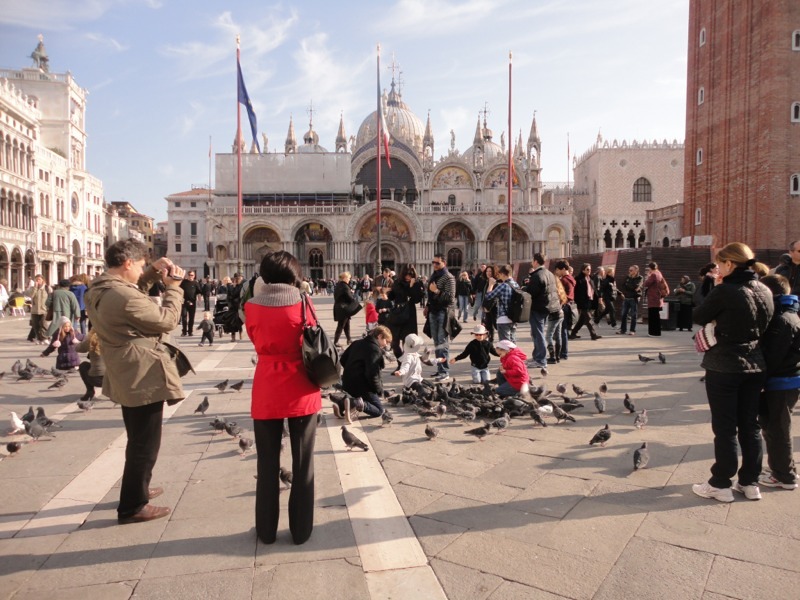 The Piazza San Marco is a sight to behold. It’s familiar because it features in so many movies, but much more impressive in the flesh, so to speak! 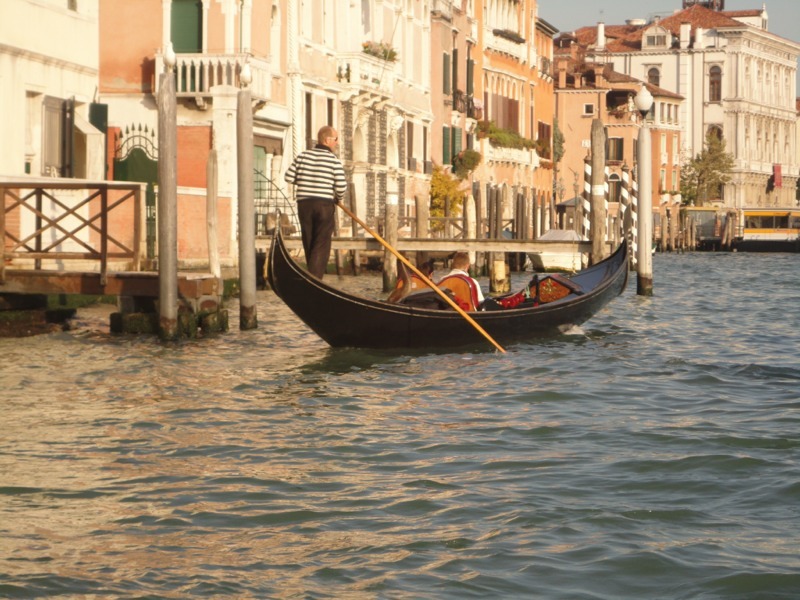 Another full day in Venice tomorrow, then off to Florence for four days, before we go on to Assisi and then Rome. Interesting times ahead! No funny video tonight. I’m on a bus, headed for the airport, to board a plane with students from my school bound for Italy! So please excuse my hiatus from my usual posts as I become a travel blogger for the next two weeks. Feel free to live vicariously through me as I recount my experiences through Venice, Florence, Assisi and Rome. I hope you can leave a comment or two and remind me of home and my network. You really just have to take the time to watch this video in its entirety. This kayaker has an amazing encounter with a Blue Whale, and his decision to peer under the water to capture images of this mammoth creature lunge feeding is bravery beyond my capability. My heart was pounding just watching this footage, heaven only knows what levels of adrenalin must have been charging through this guy’s body. That’s the intimidating thing about the ocean as far as I’m concerned. All looks well on the surface, but you have no idea what is happening beneath you. For some, that kind of risk is exciting, for others, it’s a little beyond comprehension. I like thinking about the complexities of the human condition, and how experiences pose different sorts of challenges based on the kind of person you are. I like how being a teacher gives you an opportunity to help students understand their capabilities, and I love it when I see inspiring teachers take students in directions they may have never contemplated for themselves. I’ve just returned from our school’s Speech Night celebrations, and I saw students who would never normally be involved, performing a percussion based routine that was a real highlight of the evening. The man who teaches them is brimming with enthusiasm for what he does, and you can see how it has rubbed off on these kids. It was a joyful moment, exactly the kind of thing you see happening in schools all the time when students are exposed to passionate people. Our Head Girl spoke of teachers with passion for what they do when she addressed the audience. It reminded me that we must never lose sight of the need to foster our love of what we do and share it with the young people we teach. It can make all the difference. Hopefully, some hard work this weekend will make a difference to our home renovations that seem to have a life of their own. The washing machine packed it in last weekend, and the purchase of a front loader has seen 30 yr old shelves torn out and the need for a new storage system and a coat of paint. That, combined with the the ongoing back room plastering and paint job, means we’ll be busy, that’s for sure! I hope your weekend sounds a little more exciting that the one heading my way. Make the most of it. Do you know where good ideas come from? Well, according to Steven Johnson, the author of ‘Where good ideas come from‘, chance favours the connected mind. This RSA animation does a stellar job of visualising his ideas, and I liked how he identified the need for people to come together in spaces dedicated to conversation and the opportunity to discuss and dissect ideas. Sounds like the function of a library today to me. If we design libraries with this kind of thinking in mind, then we provide opportunities for connected minds to meet face to face. I came across the following video from Derek Sivers this week, and it seems to me we could be using this as a prompt for some vigorous class discussion with our students. All too often I think we dismiss our ideas as trivial, unimportant, not worthy of sharing. But who knows the impact your tiny idea might have on someone else who has never considered it? Sharing has become such an important part of my life; for me it seems natural now to push my thinking out there. Sometimes I hesitate, but more often than not I just push that send or publish button and put it out there. Watch it and see if you can find a way to use it in a classroom. Renovations will occupy most of my weekend I’m figuring. We’ve been working on our back room, and I’ll probably be making the cups of tea, providing the food, hauling some plaster board or wielding a paintbrush. Gee, I wish it was more fun that it sounds, but someone’s gotta do it. I should take a look at that linen closet too, because I managed to avoid cleaning it out last weekend! We’ve experienced some stunning spring weather today in Melbourne – I’m just hoping it lasts through the weekend. Find some sunshine and soak in it if you can. Today I spent some time with students discussing the issue of plagiarism. It’s an important issue to discuss, and one that I would prefer to cover at the start of the year rather than nearer the end of it, but I take heart from the fact that we are having these important discussions with our student population. I thought I’d share some of the resources I used to put my presentation together. First up, I think it’s important to note that one of the General capabilities that need to be addressed in the upcoming Australian Curriculum is Ethical behaviour. Here’s the information pertinent to this from the Australian Curriculum site. What is the meaning of right and wrong and can I be sure that I am right? Why should I act morally? Is it ever morally justifiable to lie? What role should intuition, reason, emotion, duty or self-interest have in ethical decision making? Understanding the need to behave with academic honesty certainly is an ethical understanding our students need to have. The definition of plagiarism I used came from the Smartcopying website, an excellent source of information about copyright for Australian schools and TAFE institutions. A conversation like this can be a bit dry, so I used some recent controversy surrounding Beyonce and accusations of plagiarism of choreography to spark the student’s interest. Watch for yourself to see what you think. Interestingly, I’ve just seen a post where Beyonce has admitted that the Belgian choreographer’s work was an influence on her latest video. I’ll keep watching this story as it’s bound to have some good fodder for future discussions with students. We explored our school’s plagiarism policy and discussed actions the students could take to avoid falling into the plagiarism trap. We discussed effective notetaking, and techniques such as making dot points under information they might have cut and pasted from the internet to ensure they synthesise the information and write in their own words. The importance of proper attribution of resources they have used in a bibliography was explored, and I reminded them of the SLASA online referencing generator we have subscribed to, and mentioned EasyBib, as we are just starting the process of subscribing to this and think it is going to be incredibly useful for our student population. (We need to use APA style here in Australia, hence the need to purchase a site license rather than use the free version). I wanted our students to understanding the view Universities take on incidents of plagiarism, so we took a look at the University of Melbourne’s page about Academic honesty and plagiarism. I really liked the quote they use on their page, and made a point of discussing it in detail. The most important attribute that the University of Melbourne would like to see in its graduates is a profound respect for truth, and for the ethics of scholarship. The reason why this is so important is that we want our graduates to be capable of independent thought, to be able to do their own work, and to know how to acknowledge the work of others. We had noted that the University of Melbourne uses Turnitin to check for incidents of plagiarism, something we do not have at our school. 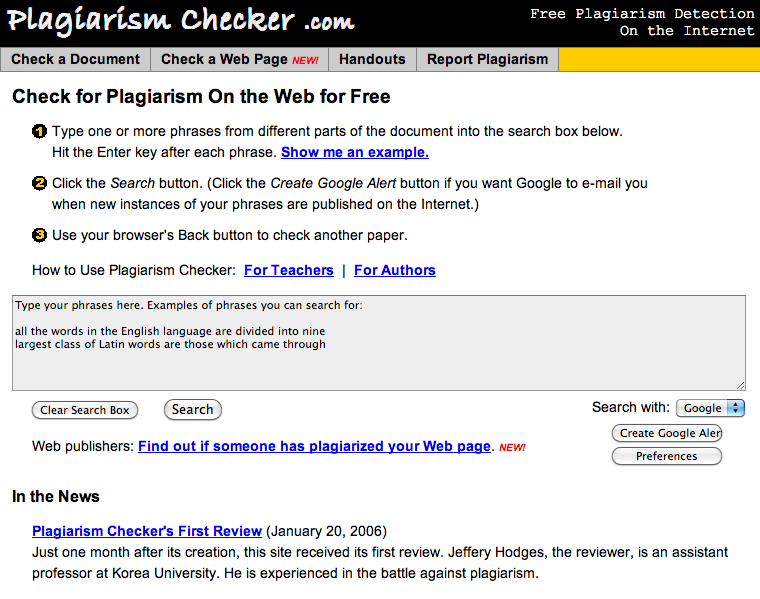 I showed the students Plagiarism Checker and explained how we are able to insert text and receive a list of Google links that may provide the source of where they have obtained information, if they have indeed plagiarised. I then thought it wise to show the students a site they could use to help them check their work for incidents of plagiarism. We have to always remember we are dealing with young people, and even though they may have been part of a discussion like this, there’s no guarantee what they have heard has stuck. Sometimes, their issues with plagiarism are not because they have deliberately intended to cheat, but more because they have not understood that cutting and pasting people’s ideas is the wrong thing to do. I showed them PaperRater, and there was a fair bit of interest in this site. I’ve only just discovered this site thanks to a tweet in recent days, so I haven’t had time to check its effectiveness. 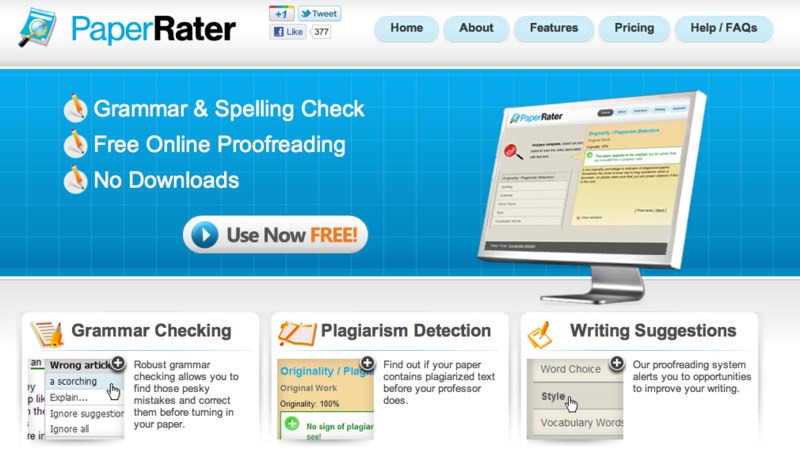 Another similar site is Grammarly, and I discovered this when I saw my son using it recently. He was using it to check the quality of the grammar in his writing, and I have to say, I was pretty impressed that he was the least bit interested! I need to learn more about these sites, who is behind them, and how they work. If anyone is armed with more knowledge that will help us all out in understanding them more, I’d appreciate you leaving some feedback as a comment. I’m pretty sure today’s discussion went somewhere towards hitting the mark with these students. This is the kind of discussion we need to continually revisit in our schools, even when kids tell us they’ve heard it all before! School’s still out here until next Monday, and already I can feel the weight of it resting on my shoulders. Holidays are funny things; you feel so light and untethered in the first week, then the slow creep of the next term starts to wind itself into your subconscious, and the leash of expectation begins to pull harder on you. This weekend will see me trying to clean out the linen cupboard, and attend to any other unfinished tasks I promised myself I would do. Let’s see how far I get! Thanks Steve. You will be missed. 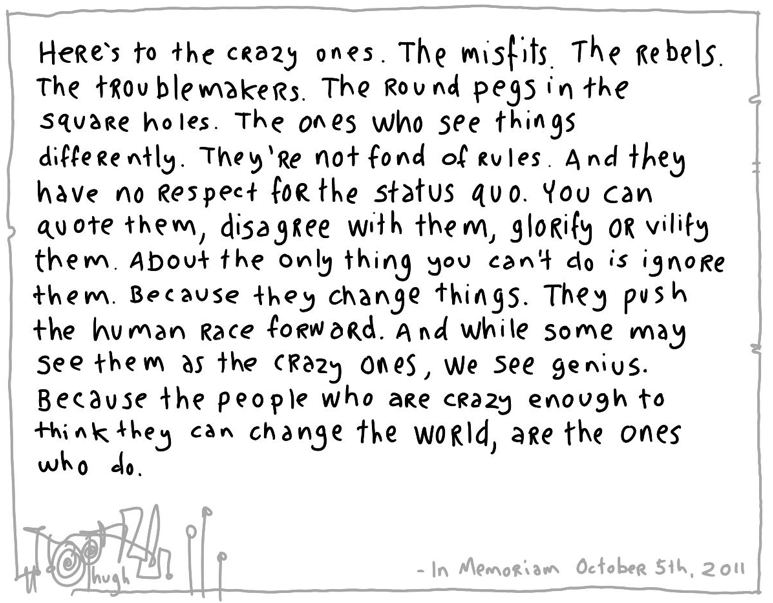 Hugh MacLeod shared this today on his blog, as a tribute to the life of Steve Jobs. It’s the text from an ad made by the Apple Corporation, and it seems fitting to view it with Steve in mind now. It seems I need to return to these words from time to time. As most of us know, having the conviction that education can be done differently is not the easiest path to tread. You face naysayers, you’re constantly confronted with dogma. Steve’s words and example help me to trust my inner voice and encourage me to follow my heart and intuition. Thanks for that Steve. You will be missed.